Lots of resorts have big peaks on the horizon. 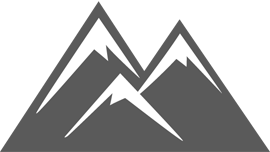 Our – Lone Peak – is actually on the trail map. The Lone Peak Tram takes you right to the top, where you'll have some eight square miles of runs and 4,350 vertical feet laid before your wide eyes. It is demonstrative evidence of our right to the title, Biggest Skiing in America®. But it isn't the only evidence. Short lift lines ensure you get all the vertical your legs can handle. A vast diversity of terrain – from greenhorn to grab-your-avalanche-beacon – means nobody in the family gets bored. Add in 400 inches of powder, and you begin to see why “big” applies to every turn of your skis, not some distant, postcard peak. 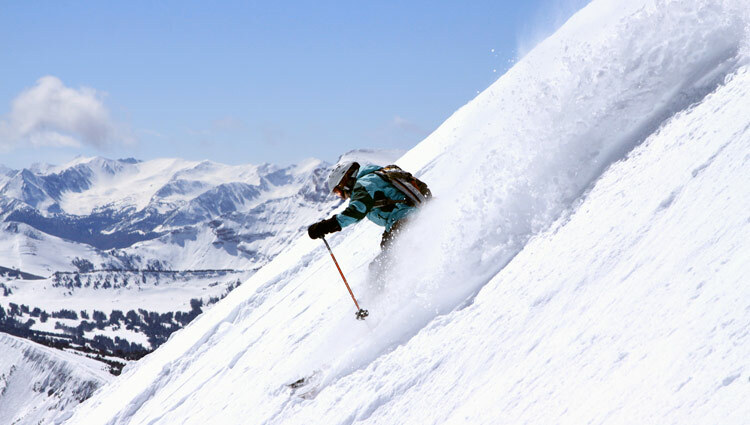 While the soul of Big Sky is its remarkable terrain, the Mountain Village is its heart. This walkable, friendly village has everything to make your vacation great. A short walk will take you from simple, clean and flop worthy to full-on luxury – with roaring fireplaces, in-room Jacuzzis and multi-level floor plans. Big Sky even offers alpine cabins with full kitchens and room enough to sleep a small family reunion. 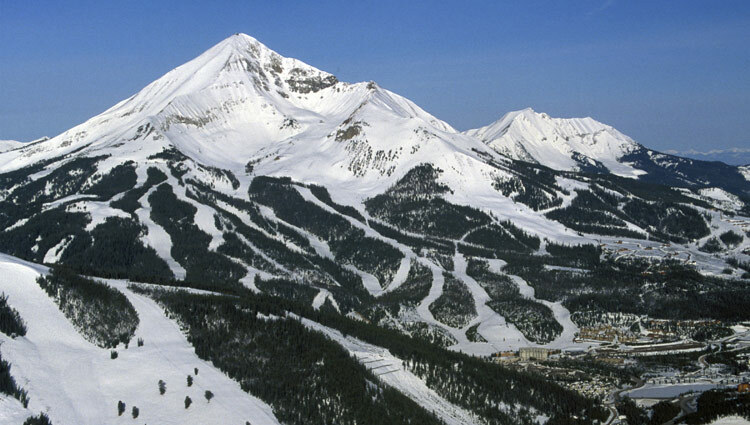 In all, the Big Sky village has just over 800 slopeside hotel rooms, suites, condominiums and cabins. More than 30 restaurants and watering holes are at your service – everything from nachos and microbrews to five-star Italian cuisine to aged bison rib eyes. Village stores offer a variety of Montana Made gifts and art; as well as designer clothing, mountain gear and more. The Solace Spa is one of the region's finest and most complete spas – offering massage, facials, algae wraps, mineral baths, steams, yoga sessions and more. The Village is also alive with entertainment. Sing along to a regional band at Whiskey Jack's. Relax at the Carabiner listening to the tales of Montana singer-songwriter. Groove to a mix master DJ in our ice bar. Or catch the latest ski flick in our Roosevelt Amphitheater. Need Help? 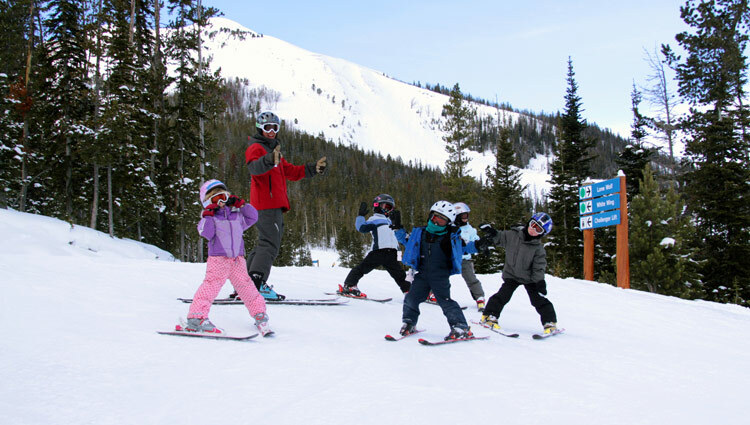 Call Toll-Free, 877-4-SKI-WEST, to talk to a Ski & Snowboard Vacation Specialist today! 300 named runs on 4 connected mountains. Consistently recognized in national ski magazines for short or non-existent lines.